This 90 years old church (built in 1920) is in Pallavaram. St Francis Xavier Church and its history could be looked here. You’ve already seen one more church in the same name earlier here. 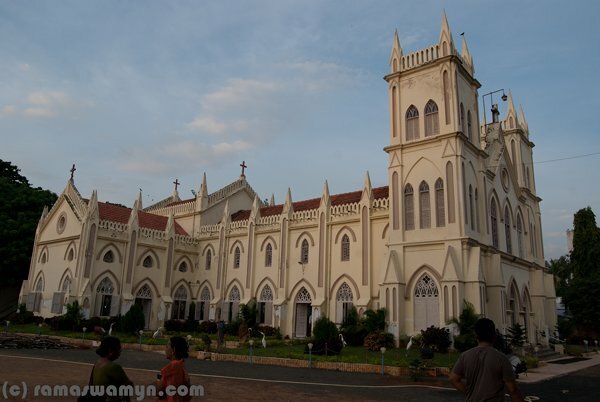 I remember when I went to Kerala, I have seen a church which is similar like this one near Fort Cochin and the name is also The St Francis Church..